Whether you are into ugly sweaters, or messages written in oversized letters, it's almost time to pull out the camera and take the annual Christmas card photo. Here are a few cute themes to help you decide what direction you want to take this year. 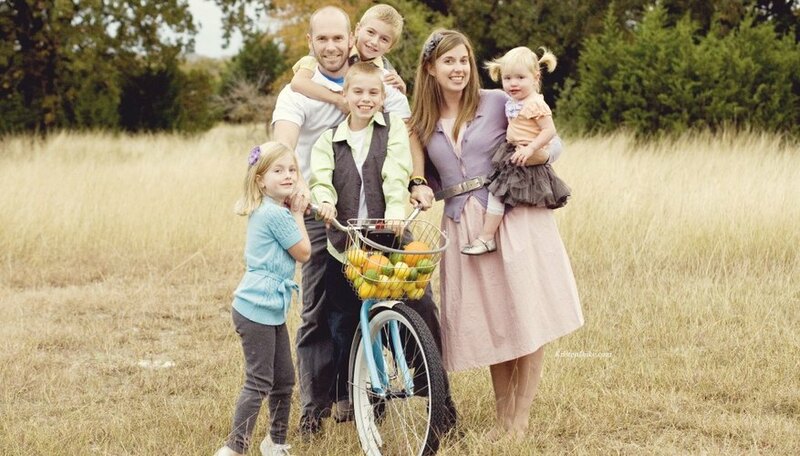 Related: Check out these family-friendly poses and tips from Kristen Duke Photography. 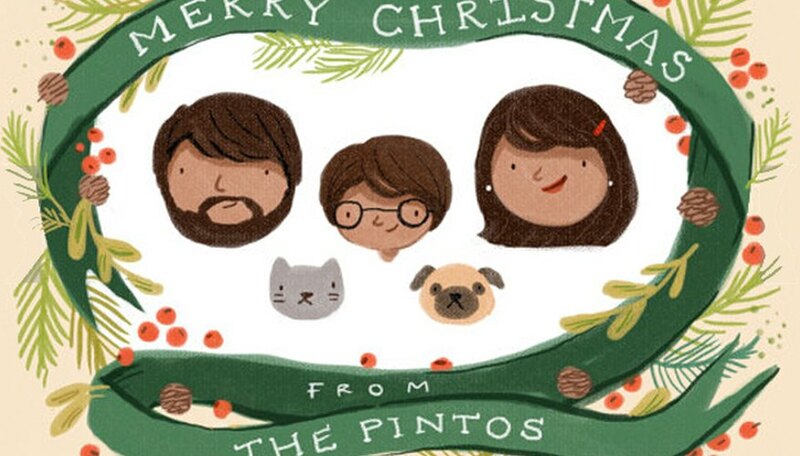 If you’re not feeling up for taking a family photograph at all this year, consider illustration. You will find lots of options on etsy.com, often your favorite illustrators will take commissions, and if you are looking for budget-friendly family illustrations, don’t forget about your kids. They can produce a cherished illustration that you will be proud to send to your loved ones for the holidays. You can also make your own miniature family members out of paper or felt if the mood strikes you. Related: Kathryn Selbert can capture your family in a personalized illustration. Make nearly any outdoor backdrop look like a polished studio photo with oversized letters, season's greetings scrawled out on a chalkboard, or while holding a festive bunting. Spell a simple message, set your camera on a tripod and snap away! Related: Make giant moss covered letters to hold in your photos or hang in the background. Make your own Santa hats, elf ears and Frosty top hats to wear in a photobooth, family photo-shoot or at the office holiday party. Finding adorable printables online takes the work out of it. There are tons of free and for-pay printables available on etsy, and around the web. 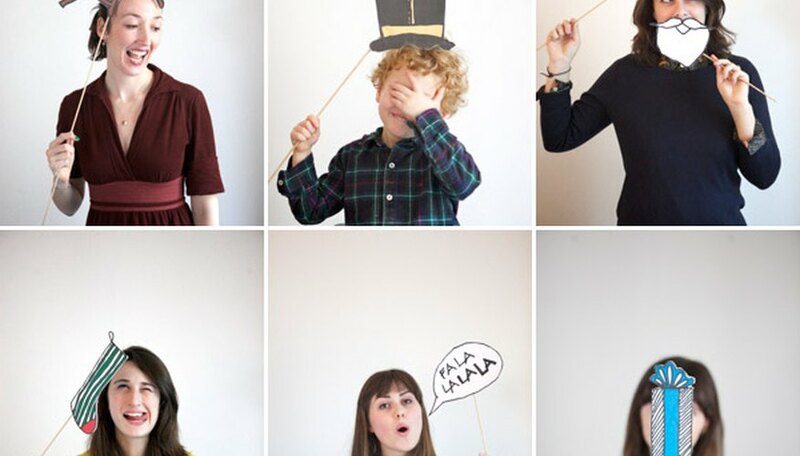 Related: Print out these free photobooth props to add some quirky fun to your shoot! Go big or go home with the ugly sweater concept. Take ornaments, wrapping ribbons and bows and your trusty hot glue gun to make your own abomination. Or scour the local thrift stores to find existing hideous sweaters. Looking for a different kind of festive "costume"? Wrap your family in toilet paper, (yes, we said it) to transform your kids into snowmen. Accessorize with an ugly sweater purse to make the look compete. 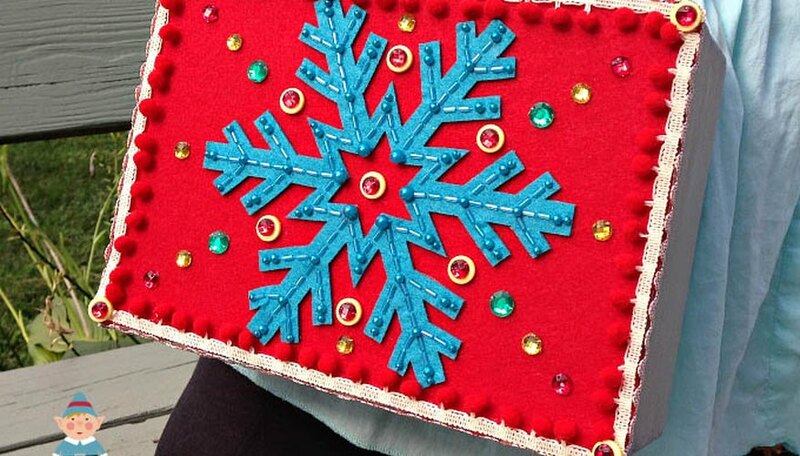 Related: Make your own ugly Christmas sweater bag. Whether you craft your own oversized Christmas tree ornaments, use the traditional holiday balls hung up in a crisp outdoor setting, or wrap your loved ones in holiday lights, the addition of these simple props will elevate your family photo setting into a winter wonderland. 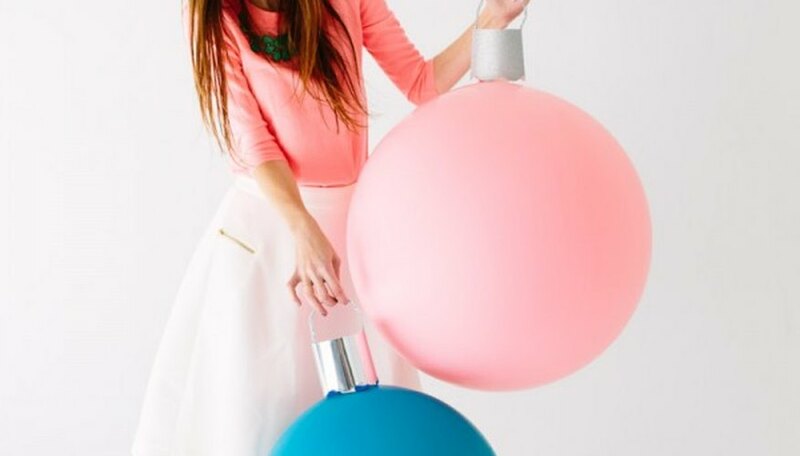 Plus, making oversized Christmas ornaments is just plain fun. Related: How to make giant ornaments that make you feel tiny.